Certain pressures stemming from within the medical community and from society in general, such as the need for increased accountability in resident training and restricted resident duty hours, have prompted a re-examination of methods for training physicians. Leaders in medical education in North America and around the world champion competency-based medical education (CBME) as a solution. The Department of Anesthesiology at the University of Ottawa launched Canada’s first CBME program for anesthesiology residents on July 1, 2015. In this paper, we discuss the opportunities and challenges associated with CBME and delineate the elements of the new CBME program at the University of Ottawa. This article is accompanied by an editorial. Please see Can J Anesth 2016; 63: this issue. Certaines pressions provenant de la communauté médicale et de la société en général, telles que la nécessité d’une imputabilité accrue lors de la résidence et des heures réduites pour les résidents, ont motivé un réexamen des méthodes de formation des médecins. Les chefs de file de la formation médicale en Amérique du Nord et de par le monde prônent la formation médicale fondée sur les compétences (FMFC) comme solution. Le département d’anesthésiologie de l’Université d’Ottawa a lancé le premier programme canadien de FMFC destiné aux résidents en anesthésiologie le 1er juillet 2015. Dans cet article, nous présentons les occasions et les défis associés à la FMFC et décrivons les éléments du nouveau programme de FMFC de l’Université d’Ottawa. Revue de la littérature actuelle. La formation médicale fondée sur les compétences relève certains des défis associés à la formation des médecins, tels que de garantir que les spécialistes soient compétents dans tous les domaines clés et de réduire les coûts de formation. En principe, la formation médicale fondée sur les compétences devrait mieux répondre aux besoins des patients, des prestataires et des autres acteurs du système de soins de santé; toutefois, son succès dépendra ultimement du soutien que cette formation recevra de tous les intervenants. Au fur et à mesure que l’on met en œuvre la FMFC, les anesthésiologistes ont l’occasion de devenir des chefs de file en innovation et en formation médicale. L’Université d’Ottawa a mis en œuvre un programme de FMFC avec deux objectifs en tête : concentrer les occasions d’apprentissage sur l’acquisition des compétences spécifiques requises des anesthésiologistes dans la pratique, et tester l’efficacité d’une réduction de la durée de formation. Les programmes de résidence en anesthésie canadiens effectueront bientôt la transition vers la FMFC afin d’améliorer la transparence, l’imputabilité, l’équité, la responsabilité fiscale et la sécurité des patients. La formation médicale fondée sur les compétences promet d’importants avantages potentiels à toutes les parties prenantes du système de soins de santé. For clinician teachers in anesthesiology, the shift to CBME will mean fundamental changes in the delivery of medical education. In future, it will be essential to understand the concept of “competence” and its application both to the medical profession in general and to anesthesiology in particular. In this paper, we explore the idea of competence, explain the increased importance of CBME, review the opportunities and challenges inherent in CBME, and describe an approach for designing and implementing CBME. We chose to review the innovative anesthesiology residency program at the University of Ottawa in order to highlight these objectives. What is “competence” and why is it important? Competence can be defined as the possession of a required skill, knowledge, qualification, or capacity.9 In medical education, competence refers to “the array of abilities across multiple domains or aspects of physician performance in a certain context”.10 The words “competence” and “competency” are often used interchangeably,11 although Frank et al. have proposed that “competence” is an internal characteristic of a person, whereas a “competency” is an observable action of a person.10 The latter definitions are used herein. One might argue that, since their inception in the mid-twentieth century, Canadian anesthesia residency programs have been producing competent graduates. Nevertheless, assessment of residents and clinical exposure during rotations can be highly variable. There is a need for a more focused approach where trainees are assessed on predetermined competencies that are deemed essential for practice as a physician. From outside our profession, governments are calling for accountability in medical education, particularly when the latter is funded by taxpayers. For example, in 2010, the United States Congress called on the ACGME to justify the ongoing and significant investment of Medicare dollars into medical education by providing concrete evidence that ACGME residency programs do in fact produce competent physicians.14 Further, in 2013, the United States Secretary of Education extended eligibility for federal funding to competency-based postsecondary programs,15 stating that such programs have the potential to improve quality assurance, decrease time to degree completion, and decrease the cost of education. In Canada, both provincial and federal governments are seeking to restrict healthcare spending. The idea of more efficient training programs for physicians is very attractive to both politicians and taxpayers. For several reasons, our “traditional” style of residency education is not able to meet the demands for a training style with a higher level of accountability, efficiency, and quality. Our current residency training model was popularized in the early twentieth century with the publication of the Flexner Report.16 Abraham Flexner, the author of the report, harshly criticized the for-profit, privately owned, and unregulated medical schools across North America. He recommended the establishment of universal scientific foundations, quality standards, and accreditation for North American medical education. Since the publication of the Flexner report, residents have been trained according to “standard requirements”17 that are set by centralized regulatory bodies. In Canadian anesthesia programs, this concept is expressed as a time-based model; set amounts of time must be spent in predetermined areas of clinical practice, with a minimum of five years of accumulated experience before specialty certification may be granted. This model works well for many trainees, but it suffers from several important drawbacks. Competency-based medical education offers an alternative way to conceptualize medical education using “objective requirements”17 rather than standard requirements. With CBME, programs relinquish a model with standard time and flexible competence and embrace a model with standard competence and possibly flexible time. Curricular innovations are also required to address the need for increased efficiency that has arisen from regulatory changes to residency training. Competency-based medical education: What already exists? Globally, widespread uptake of the standard-competence model of medical education is underway. The RCPSC plans to begin to transition all residency programs to a CBME format within the foreseeable future, with grouped “waves” of specialties transitioning on a rolling basis.20 Specialty-specific working groups will be creating resources for programs before and during this time. It should be emphasized that all CBME programs in Canada (with the exception of two programs, Ottawa Anesthesiology and Toronto Orthopedic Surgery) will be designed to maintain the current length of training. In accordance with this shift in how we conceptualize medical education, two CBME residency programs have been introduced in Canada. The first program was launched in the Department of Orthopedic Surgery at the University of Toronto in 2009. Since then, the program has enjoyed considerable success and is particularly recognized for its accomplishments in improving technical skill performance in early training5,22-25 and reducing the length of training for most residents.24 Although the increased use of simulation-based skills training in this program has led to some largely front-end loaded increases in cost,5,25 a shortened duration of specialty training could potentially reduce training costs by up to $100,000 for each person-year of residency that is eliminated.5 Although the gains may be marginal, shorter training programs can more quickly produce specialist physicians in response to increased demand for services and can potentially extend the career span of physicians as measured by total years of service prior to retirement. The second Canadian CBME program was launched in the Department of Anesthesiology at the University of Ottawa in July 2015.26 Much like the Toronto Orthopedic Surgery program, the Ottawa Anesthesia program will use targeted simulation training sessions and frequent assessments. A central part of the mission of the Ottawa program is to examine whether the length of anesthesia residency training can be shortened through innovative educational methods and appropriate assessment. How has Ottawa structured its program? The essential structure of the Ottawa Anesthesia CBME program is a four-year curriculum organized according to the CanMEDS 2015 Competence Continuum: Transition to Discipline, Foundations of Discipline, Core of Discipline, and Transition to Practice (see Figure). The concept of 13 four-week blocks per year has been retained to facilitate scheduling. In this sense, it can be considered a “hybrid” CBME program, where competency is standardized and time is flexible in one direction (i.e., training may be extended but not shortened). Although the program is not time free, it is intended to test whether anesthesia training can be accelerated compared with the current five-year model. The program is structured as a “spiral” in that residents will have repeated exposure to various elements of anesthesia practice at multiple points during residency. Competence is assessed against milestones, which are observable markers of progress towards defined entrustable professional activities (EPAs). Entrustable professional activities are activities essential to the practice of the profession that can be delegated or “entrusted” to a trainee once competence has been achieved. Although our department has created its own EPAs and milestones, the RCPSC is currently creating specialty-specific milestones and EPAs for multiple disciplines, including anesthesiology. This will relieve programs from having to create these resources de novo. The anesthesia curriculum at the University of Ottawa begins with a four-week Transition to Discipline block that is intended to orient learners to the operating room, its personnel, and selected elements of anesthesia knowledge and practice (see Table 1). Once residents have met the milestones for Transition to Discipline, they progress to the next stage of training, Foundations of Discipline, which spans six four-week blocks. The first three blocks of Foundations, known colloquially as “boot camp”, comprise two days per week in the operating room and three days per week of expert-led learning sessions, self-directed learning sessions, and high- and low-fidelity simulation sessions encompassing such topics as crisis management, technical skills, and CanMEDS competencies. Boot camp is followed by three four-week blocks of clinical practice in anesthesia. The traditional PGY-1 “off-service” (i.e., non-anesthesiology) rotations have been eliminated. Our anecdotal experience has revealed that many anesthesiologists are concerned that the elimination of the “rotating internship” as an introduction to training will lead to a decrease in the breadth of trainees’ knowledge and a decrease in anesthesiologists’ capacity to perform as true perioperative physicians. We have a two-pronged response to these concerns. First, the curriculum has preserved access to some off-service rotations (see Table 1) but reserved them for later in the program. Second, while off-service rotations do offer opportunities to acquire important competencies, they are not the only way to become competent in the desired areas. Participation in off-service rotations is arguably not an efficient way to become competent since they require residents to learn competencies unrelated to anesthesia practice. For example, a rotation in pediatrics would likely include achieving competence in well-baby examinations, which are rarely or never performed by anesthesiologists. Since unused knowledge inevitably declines over time, these competencies will be gained only to be lost. It is worth asking why we have not previously examined our reasons for requiring residents to learn skills that will benefit neither themselves nor their patients. Reducing time spent on off-service rotations is designed to maximize both clinical exposure to anesthesiology cases and opportunities for direct observation of trainees demonstrating essential competencies. The Foundations of Discipline stage of training is followed by Core of Discipline, which is split into Core I and Core II. Cores I and II comprise multiple four- or eight-week subspecialty modules. Modules generally consist of clinical exposure to appropriate cases, completion of a number of case-based learning exercises, and additional exercises such as partial task training and reflective writing for a portfolio. The “spiral” organization of Cores I and II ensures that residents get repeated exposure to content areas at times during their training that roughly correspond to the traditional “junior resident” and “senior resident” designations (Table 1). Internal medicine subspecialty rotations, including cardiology, respirology, intensive care, and transfusion medicine, consist of traditional four-week rotations run by their home services. Several blocks are set aside during Core II for electives. In cases where residents require extra time to reach particular milestones, these blocks can be used for “targeted educational activities” —i.e., customized education plans designed to help residents achieve any milestones not completed during the designated module. Modules for the intrinsic CanMEDS roles are completed longitudinally —i.e., over the entire course of the program instead of during a discrete period. The program concludes with the Transition to Practice stage, which focuses on residents attaining increasing independence while completing a variety of cases in generalist and specialist areas. Simulation plays an important role during all stages of the program. It can be used to familiarize residents with both commonly used and rarely used skill sets and to help them achieve and maintain competence in these areas.27,28 For example, during the Foundations of Discipline stage, residents use partial task training, low-fidelity simulation, and high-fidelity simulation to achieve milestones in technical skills, communication skills, and crisis resource management. During the fourth year of training, residents can be recommended to sit the RCPSC anesthesiology fellowship examinations if their assessments show that they have attained satisfactory competence. If further training is required, individualized plans can made on a case-by-case basis, much as they are in traditional programs. Program evaluation is being guided by the program logic model and evaluation framework developed by key stakeholders. Findings will be published as they become available. The implementation plan for the CBME pilot program at Ottawa was fundamentally based on the management of organizational change. Although a deeper exploration of the philosophy of change management is beyond the scope of this paper, there are several existing frameworks that can help programs navigate this process. The University of Ottawa used one such framework, the Diamond-E Framework,29 to guide the process of strategic change. The Diamond-E Framework addresses: strategy, management preferences, organization, resources, and the environment. All variables in the framework are related, either directly or indirectly, with Strategy being the key link between the opportunities existing in the environment and the variables required for successful execution of the strategy (i.e., management preferences, organization, and resources). In accordance with the Diamond-E Framework, we can identify some indispensable resources for CBME implementation, including financial support, buy-in from stakeholders (especially faculty and residents), adequate educational facilities (e.g., capacity for simulation-based training), and endorsement from administrative bodies (e.g., RCPSC, university administration, hospital administration, and departmental leaders). Monetary funding originated from several sources at the University of Ottawa: the Department of Anesthesiology, the Office of Postgraduate Medical Education (PGME), and the Faculty of Medicine. The Office of PGME plans to use the tools and frameworks developed by the anesthesia program to assist other programs during the general transition to CMBE. Expertise, paid and unpaid, came from the Curriculum Steering Committee, as well as other departmental and external education experts. Non-CBME expertise included information technology experts for online platform construction and research expertise for program evaluation. Time and effort, largely unpaid, was contributed by Department of Anesthesiology members who collaborated in such activities as writing clinical cases and developing, reviewing, and testing assessment tools. In order to build stakeholder support, the program has invested in a number of ongoing strategic initiatives to build awareness of the changes, provide people with the required knowledge and skills, and support the curriculum. These initiatives include faculty development sessions for curriculum leaders and clinician teachers, the creation of information resources for incoming and existing residents, and the development of video tutorials for the online tools. Our department plans to disseminate our curricular materials widely so that other anesthesia departments can benefit from this work. Competency-based medical education has the potential to improve key aspects of medical education in ways that will greatly benefit trainees. It is also highly important for the diverse stakeholders in the healthcare system. Stakeholders in healthcare —patients, allied healthcare workers, hospitals, residents, practicing physicians, licensing bodies, governments, and taxpayers, among others— have various and sometimes conflicting needs. These needs will continue to drive changes in our system of medical education. Table 2 outlines selected stakeholder needs and how CBME offers opportunities to address those needs in ways that are potentially superior to traditional residency training. Whereas CBME has clear benefits for patients, trainees, and educators, it comes with challenges as well. Competency-based medical education has been criticized for lacking high-quality evidence to prove its superiority over our traditional training model. It is true that randomized-controlled trials are lacking to compare CBME with time-based training models. Nevertheless, there is multisource evidence to suggest that CBME does provide significant tangible benefits when compared with traditional training.5,22-25,30,31 These benefits include improved clinical performance, acceleration of training, and improved patient outcomes. Another common criticism of CBME is its use of a standard of so-called “minimal competence” to assess learner progress. Nevertheless, the term “minimal competence” should not be misconstrued for a low standard of competence; it may in fact denote a very high standard. “Minimal competence” simply means that all learners will meet a pre-determined standard below which they will not be permitted to complete their training. Development of competence over and above the standard is possible and desirable.32 For example, trainees can accrue extra competence during residency and fellowship training, during continuing professional development, and through the accumulation of experience in practice. Some educators have expressed concern that CBME, in general, and accelerated training programs, in particular, will not provide enough clinical exposure to permit the development of a truly generalizable skill set. This criticism has already been directed toward current training programs.33,34 Well-designed CBME programs will address this concern in several ways. First, the requirement for direct observation of specific competencies will ensure that trainees receive exposure to all required cases (rather than “whatever comes through the door”) and perform an adequate number of cases to achieve competence based on their individual needs. Second, the gaps in essential competencies due to low case volumes can be identified more easily within a CBME framework. This in turn will permit development of complementary learning programs. For example, the Canadian National Anesthesia Simulation Curriculum initiative35 was founded partially in response to the need for trainee exposure to rare clinical presentations since opportunities for experience with these cases might never occur during residency training. Competency-based medical education also poses challenges in the area of operationalization of teaching and assessment strategies. Previously published specialty-specific CBME guidelines, such as the ACGME Milestone Projects, have deliberately omitted mandatory teaching strategies or specific assessment tools or plans.22 This is intended to facilitate innovation and flexibility in setting curricula locally but has the unavoidable effect of compelling programs to do a lot of the “heavy lifting” in terms of developing their own educational materials. Medical educators will need to commit collectively to generate a new set of assessment tools and to collect compelling evidence to support these tools. This represents a significant investment in time and expertise. Some validated assessment tools36 and guidelines for choosing and combining varied assessments37,38 are already available. Once new assessment tools are created, clinician teachers will need to make use of these tools for frequent trainee assessments in order to determine if and when competence is achieved. High-stakes rulings regarding competence, such as the decision to graduate a resident from close supervision to distant supervision, will require a sufficient amount of data to support good decision making. To this end, residents in the CBME program for Orthopedic Surgery at the University of Toronto received three times as many formal assessments as those in the “traditional” stream.5 Many of the additional types of assessment likely entailed intensive time and labour on the part of supervising physicians. For example, one additional type of assessment was an objective structured clinical evaluation that typically requires spending many hours creating and testing examination “stations” as well as supervising and grading the examination. An increase in the assessment workload in this fashion has certain impact. Anesthesiology is a specialty that attracts a large and diverse complement of learners, including on- and off-service residents, medical students, anesthesia assistants, respiratory therapists, and paramedics. The operating room is a place where it can be difficult to balance the needs of the patient, the learner, and the team. We must take into account the amount of learner assessment that would be considered reasonable for staff anesthesiologists to perform in a critical care environment. Whereas the ideal conceptualization of a competency-based training program is time free, this model has logistical challenges that will be difficult to address in the foreseeable future. The context of our current government funding and our RCPSC licensure model are designed to work on an annual calendar. As it is neither practical nor feasible to change these systems, all residency programs will continue to operate on a July 1 to June 30 academic calendar. Service requirements must also be met on a day-to-day basis, and accordingly, unpredictable rates of trainee advancement through training modules could easily lead to unpredictable staffing levels for certain areas of patient care. We must balance the needs of trainees for fair advancement with the needs of patients (and other healthcare workers) to receive reliable, available care from physicians. Regardless of the benefits of CBME, there remains the question why an individual residency program would take on the difficult work of trailblazing. Equally valid would be the question why Canadian anesthesiologists should support these efforts within our specialty. We suggest that we can reap tangible benefits in the immediate and distant future by taking the lead. 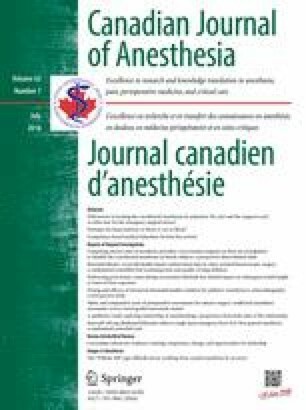 The history of anesthesiology education in Canada shows that our embrace of new ideas and technologies has served us well. Anesthesiologists were “early adopters” of high-fidelity simulation and were quick to grasp that simulation could fundamentally alter medical education. Anesthesiologists achieved enviable leadership positions in simulation and medical education organizations; helped to establish ground-breaking research, teaching, continuing medical education, and fellowship programs; and influenced the global direction of simulation education. Similar opportunities exist in CBME, especially given its interrelation with simulation-based education. In the interest of preserving our tradition of best education practices, adoption of CBME is essential. Early uptake of CBME will also be a powerful political statement, as anesthesiologists will be viewed as making a gesture of goodwill to our stakeholders. In this era of fiscal restraint, the early and voluntary endorsement of the principles of cost savings, patient safety, timely provision of specialists, and accountability is crucial to maintaining trust in our profession and in our specialty. Competency-based medical education has arisen in response to changes in both the nature of medical practice and the society in which we live. It has been embraced by national certification bodies around the world as the “way forward” in medical education. It is a means to demonstrate to those both within and outside the profession that we are producing competent doctors who provide quality and safe patient care in a way that is proven and fair. Competency-based medical education is not a panacea and it is not without shortcomings. Medical education is not, was not, and never will be perfect. This truth does not obviate the need for continuous evaluation of what we do and how well we perform. Competency-based medical education offers significant potential benefits, including better transparency, accountability, fairness, fiscal responsibility, and patient safety, in support of residents, patients, taxpayers, and allied healthcare providers. This moment of transition in medical education represents an important opportunity for anesthesiologists to benefit from being “early adopters” and leaders in CBME. The authors gratefully acknowledge the advice and input from Drs. Gregory Bryson, Don Miller, and Christopher Hudson, and the work of Dr. Viren Naik in the preparation of the SWOT (change management) analysis. This work was supported through salary support by the Department of Anesthesiology at the University of Ottawa. Dr. Stodel’s work on curricular materials was supported by the Office of Postgraduate Medical Education at the University of Ottawa. Amy B. Fraser, Emma J. Stodel, and Alan Chaput contributed substantially to all aspects of this manuscript, including conception and design; acquisition, analysis, and interpretation of data; and drafting the article. CanMEDS 2015. The CBD Competence Continuum. Available from URL: http://www.royalcollege.ca/portal/page/portal/rc/common/documents/resources/cbd_competence_continuum_diagram_legal_e.pdf (accessed January 2016). Dictionary.com. Competence. Available from URL: www.dictionary.reference.com/browse/competence (accessed January 2016). Medicare Payment Advisory Commission. Graduate medical education financing: focusing on educational priorities. June 2010. Available from URL: www.medpac.gov/documents/reports/Jun10_Ch04.pdf?sfvrsn=0 (accessed January 2016). Flexner A. Medical Education in the United States and Canada: a Report to the Carnegie Foundation for the Advancement of Teaching. NY: Carnegie Foundation for the Advancement of Teaching; 1910. Available from URL: http://archive.carnegiefoundation.org/pdfs/elibrary/Carnegie_Flexner_Report.pdf (accessed January 2016). Royal College of Physicians and Surgeons of Canada. Phased Implementation with Specialities: Proposed Plan. Available from URL: www.royalcollege.ca/portal/page/portal/rc/common/documents/resources/cbd_implementation_proposed_plan_e.pdf (accessed January 2016). Royal College of Physicians and Surgeons of Canada. Competence by Design (CBD): Moving Towards Competency-based Medical Education. Available from URL: http://www.royalcollege.ca/portal/page/portal/rc/resources/cbme (accessed January 2016). Stodel EJ, Wyand A, Crooks S, Moffett S, Chiu M, Hudson CC. Designing and Implementing a Competency-Based Training Program for Anesthesiology Residents at the University of Ottawa. Anesthesiology Research and Practice - 2015 Article ID: 713038. Available from URL: http://www.hindawi.com/journals/arp/2015/713038/ (accessed January 2016). Harris KA, Frank JR. Competence by Design: Reshaping Canadian Medical Education. Ottawa: The Royal College of Physicians and Surgeons of Canada; 2014. Available from URL: http://www.royalcollege.ca/portal/page/portal/rc/common/documents/educational_initiatives/rc_competency-by-design_ebook_e.pdf (accessed January 2016). Chiu M. Development of a Canadian National Anesthesiology Simulation Curriculum (CanNASC). Royal College of Physicians and Surgeons of Canada. Available from URL: http://www.royalcollege.ca/portal/page/portal/rc/common/documents/events/icre/2014proceedings/slides/What_Works_Ideas_in_Residency_Teaching_and_Assessment/M_Chiu.pdf (accessed January 2016). Bandiera G, Sherbino J, Frank JR. The CanMEDS Assessment Tools Handbook. An Introductory Guide to Assessment Methods for the CanMEDS Competencies. Ottawa: The Royal College of Physicians and Surgeons of Canada; 2006. Available from URL: http://www.royalcollege.ca/portal/page/portal/rc/common/documents/canmeds/resources/publications/assessment_tools_handbook_preview_e.pdf (accessed January 2016).